Here is something special for all those who appreciate only the finest things. 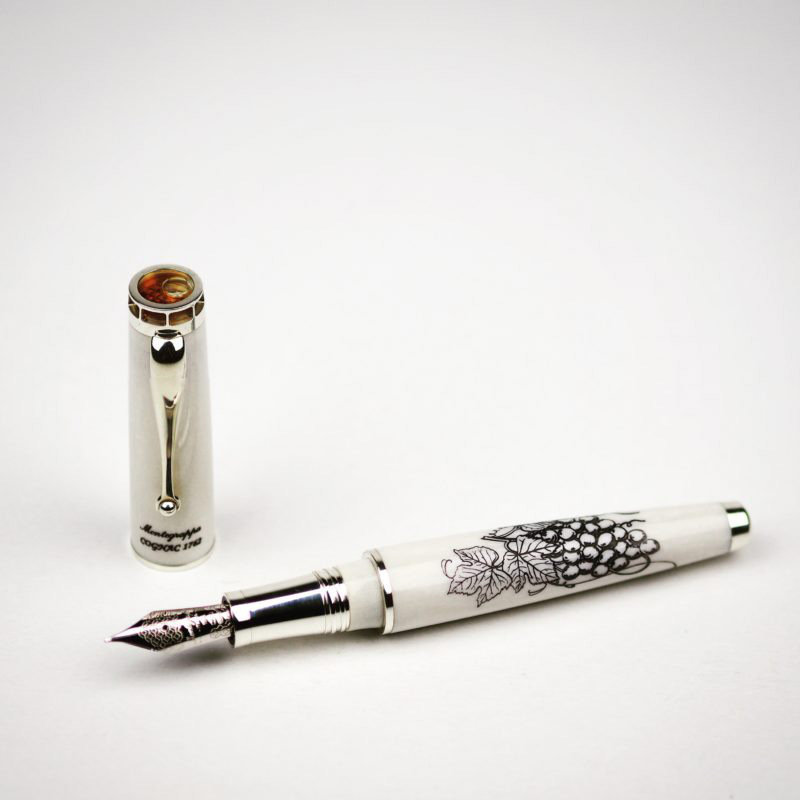 We all know for Montegrappa and their luxurious pens. 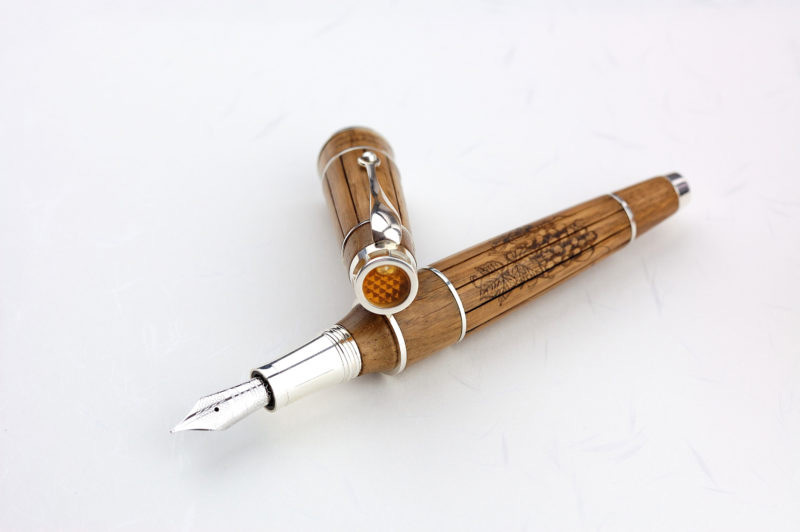 Now, Italian pen manufacturer push boundaries even further with a fountain pen filled with the world’s oldest cognac. 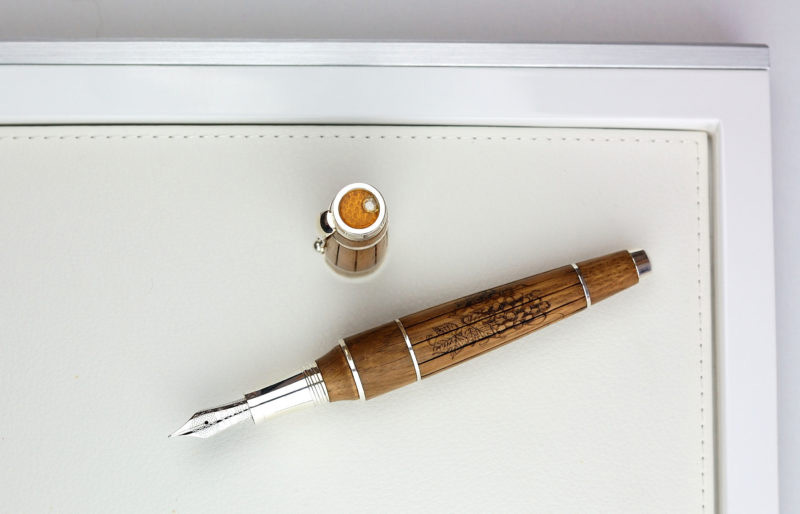 Created in a collaboration with Collector’s club Wealth Solutions, “Cognac Pen” is crafted entirely from oak wood with decorative elements including grapevine motifs along the body, but the cap contains a drop of Gautier Cognac, which dates back to 1762. The pen can be filled by a converter or a cartridge and is 155.5mm in length in men’s edition and 130mm in the women’s edition. The nib is available in sterling silver or gold in the version for men, and sterling silver only in the version for women. Buyers may also choose the nib thickness from F to B. There are only 100 in silver and 10 in gold up for grabs. Men’s version will cost you 10,000 euros (roughly $11,087), slightly bigger than the sterling silver women’s version which runs 3000 euros or $3326.